The Fulton Schools Career Center hosts career fair prep workshops, résumé reviews and a Saturday “super session” to help students get ready to meet employers during the Fall Career Fair. The Fulton Schools Fall Career Fair is right around the corner. 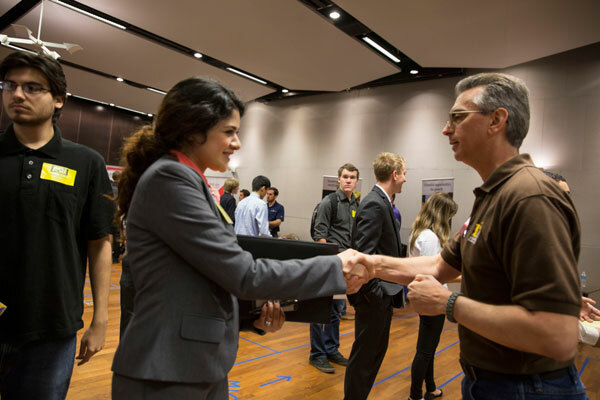 Held over three days — two days on the Tempe campus and one day on the Polytechnic campus, faculty are invited to attend the Dean’s Welcome held before the start of each day’s fair. Check out the list of employers planning to attend. To help students prepare, career development, planning and interview preparation workshops are being offered on both Tempe and Polytechnic campuses.